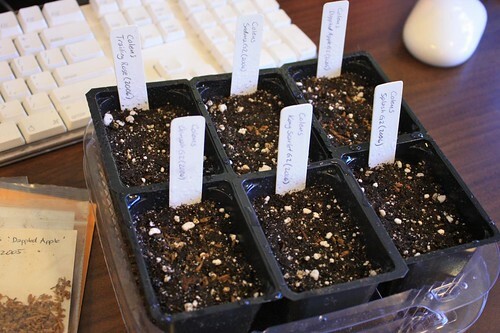 I brought in some gardening supplies to work so I can start sowing some Coleus seeds. 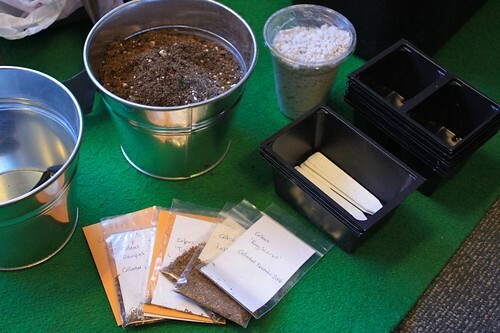 I made my own mix using used peat pellets (from peat pellets with seeds that didn’t grow), a little bit of potting soil and perlite. This entry was posted in Gardening and tagged coleus, coleus dappled apple, coleus kong scarlet, coleus oompah, coleus sedona, coleus splash, coleus trailing rose, orchid from kathryn, orchids. Bookmark the permalink.